The absolute best and highest quality of the precious metal rosary bracelets you can buy is a 14k bracelet gold rosary. 14k Gold - Buy the best, buy a 14k gold rosary bracelet, comes in yellow and white gold. Sterling Silver - The rosary bracelet silver ball is very simple and elegant. Because pure silver is soft, jewelry cannot be made from it. Sterling silver is at least 92.5% pure silver and is usually mixed with copper to make it harder and suitable for use as jewelry. A bracelet rosary silver sterling has a beautiful metal luster and is an affordable precious metal bracelet. It is just as elegant as gold but costs only a fraction of the price. Gold Overlay - Do you like the look of gold but want a more affordable bracelet gold rosary type? 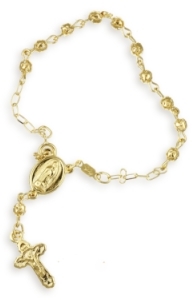 Why not buy a 22kt gold over sterling rosary bracelet. With this bracelet type, you get the best of both both worlds, sterling silver and gold. Buy the best you can afford. A silver or gold bracelet tells people that you are serious about the Rosary. It tells people that you live the message of Gospels. Or passing it on to your first granddaughter. Let your gold rosary bracelet be that belonging you leave behind that reminds your family of you. Even after you are gone they will wear your rosary bracelet and remember your strong devotion to Mary and to the Rosary. Surely they will say a prayer for the repose of your soul every time they take out your gold rosary bracelet. Clearly, this is a purchase that will have significant benefits even after all your other earthly possessions have lost all meaning. Just like gold, silver rosary bracelets tell people that you have a serious devotion to Mary and her Rosary. They are a good investment not only temporally but also spiritually. Remember, it is more than just jewelry, it also serves as a sacramental. That Special Lady In Your Life? 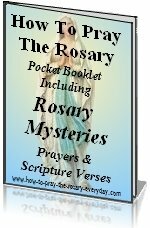 If you are looking for a unique and meaningful gift, a rosary bracelet fits the bill. Husbands, buy a gold rosary bracelet for your wife on that special birthday. 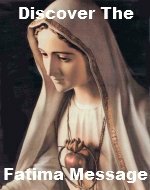 She will know how much you love her and will be thankful to have a husband as devoted to Mary and to the Rosary as she is. It ensures extra prayers for you! I'm sure she will think of you when she uses her bracelet to pray and will often offer her Rosaries for you. Moms, gold rosary bracelets make the perfect graduation gift for your daughters. The Rosary! You know as well as I do, that she will need this prayer to sustain her in years to come. And what better way show the value of the Rosary than by giving her this fine piece of jewelry. Anyone - Gold rosary bracelets make a great gift for moms, wives, sisters, daughters, aunts, grandmothers, goddaughters, and girlfriends. If you are looking for that perfect gift for that good and holy woman in your life you have found it! Buy her a gold rosary bracelet. Make A Wonderful Gift Too! A sterling silver rosary bracelet is a perfect and meaningful gift that will last a lifetime. So if gold isn't in your budget or she is more of a silver gal, this fine piece of jewelry will be a gift that tells her how much she means to you. This would make a perfect gift for a young lady graduating 8th grade, or high school-or as a Confirmation gift. Or even a birthday or Christmas present. Need a Mother's Day gift for Mom? This is it. Plus it comes with an added benefit for you. Of course she will ask Our Lady to watch over you as she uses it to keep track of her Rosary. Precious metal rosary bracelets are high quality jewelry and should be purchased from a well known jeweler who has good feedback from other customers. A sterling silver or gold rosary bracelet should come with a guarantee from the seller or manufacturer. eBay is a good place to look for precious metal rosary bracelets. You can purchase the same quality jewelry for a fraction of the retail price. But remember to be sure the seller has good customer feedback and look for a product guarantee. If you are new to eBay, you may find our Auction Tips page informative.